The book “Learning to Die in Miami” is about the thousands of Cuban children airlifted to the USA during the early Castro years. Called the Pedro Pan Airlift, the story is a memoir told by the same author of “Waiting for Snow in Havana,” a National Book Award recipient. I just finished reading “Learning to Die in Miami”. The true story, written by Carlos Eire, who was one of over 14,000 Cuban orphans sent here by their parents in the early 1960s, captivated me. Their parents, desperate to get their children out, hoping to follow as soon as possible; and most thought they could get out within a few months. For many, though, it was years. Once in the US the authorities placed these children, some as young as three in foster homes, orphanages, with relatives, and sometimes even with distant relatives. 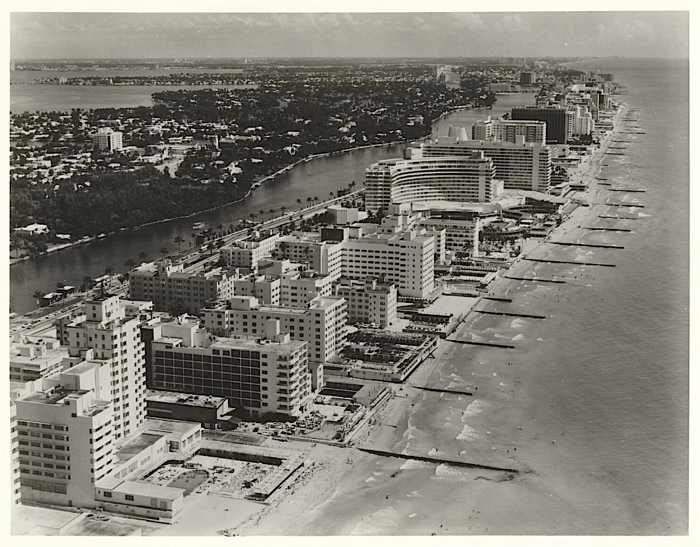 Not all stayed in Miami, moving all across the country. I cannot imagine what it was like for the children, let alone the parents. 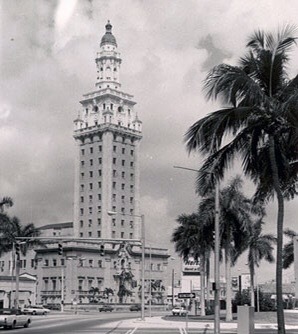 The Freedom Tower, former home of The Miami News was used as a facility to process, document, and provide medical and dental services for the Cuban exile newcomers. I read Eire’s earlier book “Waiting for Snow in Havana” about beautiful cosmopolitan Havana and Cuba before the revolution and immediately afterward. 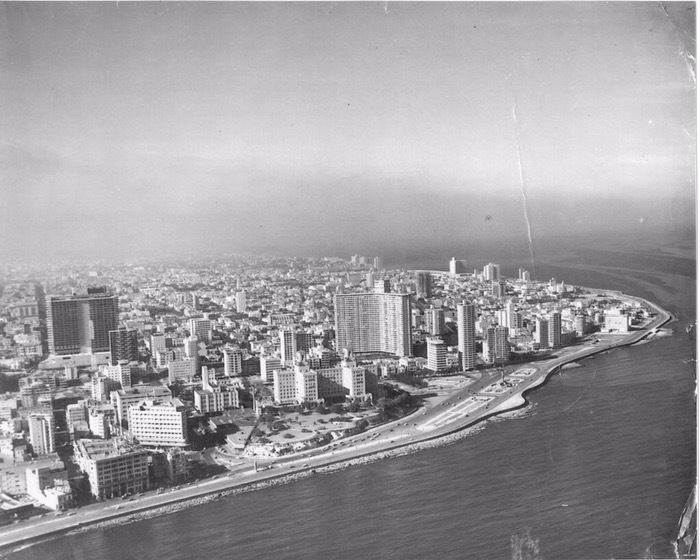 Below are two pictures I found that compare the two cities of Havana and Miami. This second book about his boyhood picks up where “Waiting for Snow…” leaves off; though it isn’t imperative that you read one before the other. Both provided an amazing history lesson into this time period. For most of “Waiting for Snow” you get a child’s hopeful outlook to a beautiful future, and in “Learning to Die” you get a scary, disappointed wake-up call to what life is like for an immigrant, especially one without a parent to guide and protect them. Sadly, Carlos learns that in America the streets are not littered with cash as expected by a child. Still, there are hopeful and even comedic moments in the book. In reading the reviews I noticed that many didn’t like the book. The author did jump around, and his little “whoosh” cue was used repeatedly to take you back and forth from one time period to another. But I thought it fit into a boy’s story. After all, this was written from a boy’s point of view, because it happened when he was a boy. It didn’t bother me, and I really liked the book. I also wondered if some reviewers were put out by some of his more conservative views, such as his chastisement for those who want to protect the Spanish language as an intangible cultural tradition at the expense of Spanish-speaking immigrants. He thinks that this holds Spanish speaking people back from achieving their full potential in the American marketplace. I know that protecting the Spanish language as an intangible cultural tradition created a small problem in my family. My aunt married a Cuban American or so it seemed. Both she and my uncle are now in their 80s; and because his mother required all the children and grandchildren to speak Spanish in her home which I visited on occasion, I made the mistake of asking Uncle Mario when was it that he got to the United States. I thought it must have been when he was young because he spoke perfect English. 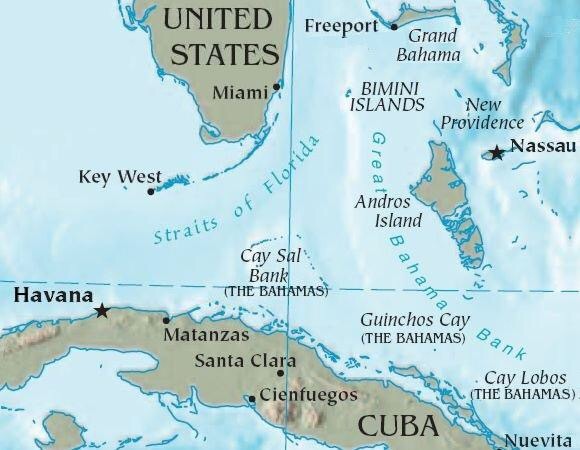 Well, I upset Uncle Mario, because his family came to the Keys in Florida from Cuba in the late 1800s. His mother simply tried to make sure the grandchildren hung on to their language as her mother and mother’s mother did for her. Regardless, though, thanks to her my cousins speak two languages. 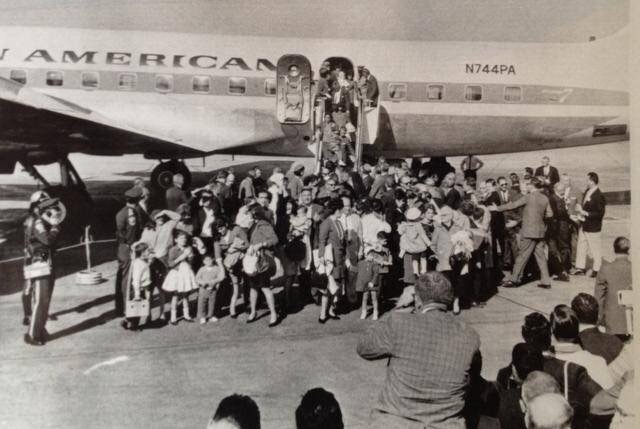 Being from Florida I grew up with this Cuban-American uncle, the Cuban Missile Crisis, hearing about the Bay of Pigs, and several aunts and uncles who lived in Miami, all providing me with a picture of the refugee crisis down there in the early 1960s. These two books plus another one written by a dear friend, who also had to flee Cuba with her parents, helped me tie all these events together in context with the history of Cuba. My friend’s book “The Front Row” by Silvia Morell Alderman, is the story of her parents as seen from the perspective of her mother. Silvia’s father, a justice of the Cuban Supreme Court for 10 years, the last two during the Castro regime, was the first justice to resign upon finding that Castro would not uphold the rule of law. Previously, he served in high government positions for two presidents. He and Silvia’s mother Rosa were student revolutionaries in the 1930s and indeed had a front row seat to the various revolutions down there. So if you are like me and interested in Cuba and its history, these three books will give you an excellent picture. 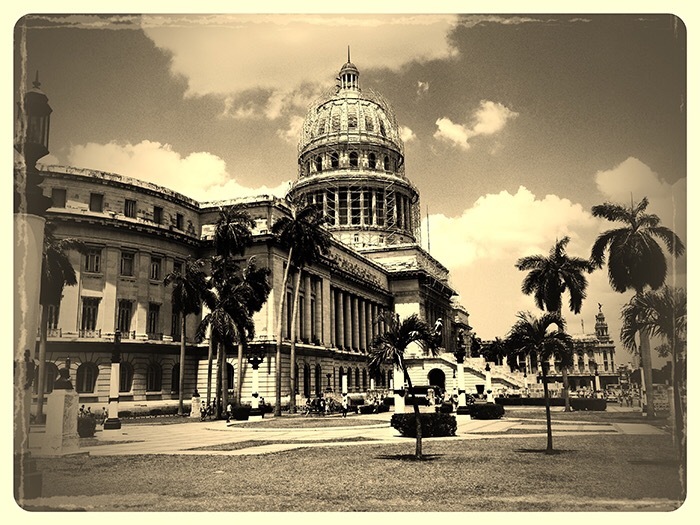 What do you remember about Cuba in the early 1960’s? Do you remember the Cuban Missile Crisis? If so, how did your school prepare you for a possible nuclear war with Russia? Thanks, Cindy. Great review of the Eire books, too. You’re welcome, and thank you. I’m glad you liked it. Yes, it was, Becky. Our drills were to go out into the hall, where there were no windows. Two room monitors (boys) were ordered to drop the blackout shades left over from WWII. When they left the room, they were to close the door. Out in the hall, they instructed us to sit on the floor with our backs up against the walls of the hall which were inside walls. Then if I remember correctly we were to sit with our knees in the air and our heads between our knees. Like any of this would have helped anything except our psyche. I remember asking my parents such questions as how far were we from the coastline and how long would it take for enemy soldiers to drive and/or walk from the coastline to Monticello. The other question I remember asking was if Cuba planned to bomb Monticello. When told no, I wanted to know if Tallahassee would be bombed and if it would destroy Monticello being that close (26 miles). Finally, when told that Florida wasn’t exactly a target like New York and California but that Miami would be more likely bombed, I wanted to know what the closest city was to Monticello that would be bombed. I overheard my parents discussing this sometime later and discovered that Valdosta, Georgia probably would because of its air force base. 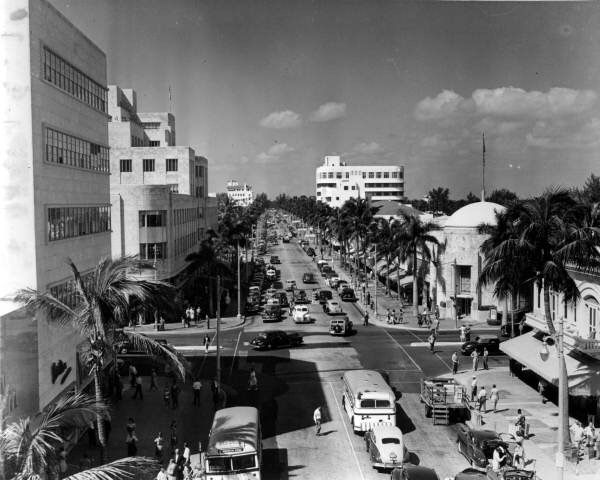 In Miami, we had drills at our elementary school that required us to go into the school library (I guess the classes were divided up among the more secure rooms in the school). The routine was much as you describe otherwise. I imagine none of that would have made a stitch of difference in a nuclear attack but at least it made the grownups think they were doing something useful. Yes, I guess it was important to do something in preparation.